The Galleria Red Bank was built in 1907 and completed in 1917. 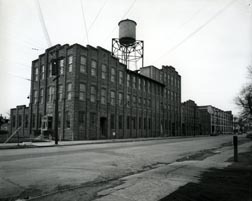 The industrial-style architecture has great historical significance. 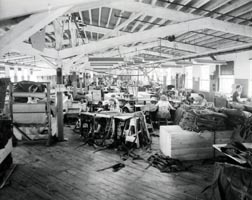 During World War I & II, the building was the sight of a modern working textile factory, producing most of the uniforms worn by our men and women during the Wars. 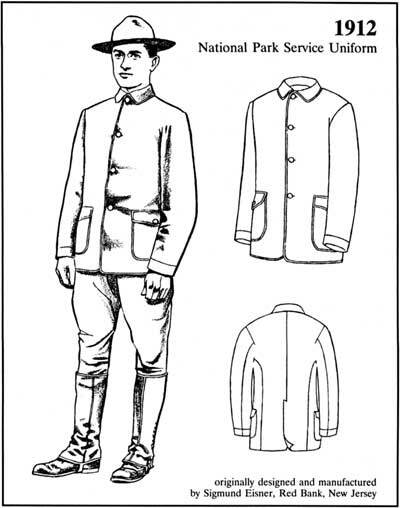 It was one of the largest uniform manufacturers that made uniforms for the National Park Service and different military items during World War I & II, flight suits and gas mask hoods. Look inside any old army uniform or inside that WW II Air Force leather jacket and you may find the Eisner label. 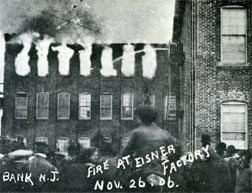 Later, the Eisner Building was involved in the manufacture of Boy Scout Uniforms, and the success of the Monmouth Chapter of Boy Scouts was due largely to the generosity of Sigmund Eisner who founded the uniform production. One of Sigmund Eisner's grandsons is Michael Eisner, former Chairman & CEO of The Walt Disney Company. 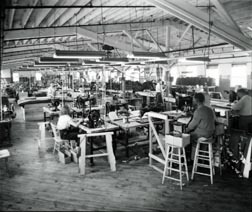 In 1984 the sight was purchased from the Eisner Family and transformed into a multi-use complex featuring retail shops and services, restaurants and offices. The Galleria Red Bank was restored to enhance the warmth of the beautiful red brick exterior, the hardwood floors, and the chestnut trusses and wood ceilings. The Galleria Red Bank stands today as a testament to early 20th Century architecture. The philosophy behind the redevelopment of the historic structure was to recreate the original space with new improvements carefully blending the old and the new. 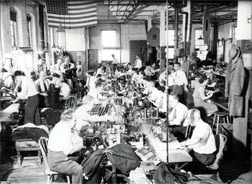 In order to maintain the integrity of the architectural period and design, and to integrate the six buildings with common areas, pains were taken to establish a flow from building to building that did not previously exist. 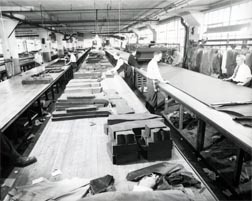 The rehabilitated structure contains approximately 100,000 square feet. The interior and exterior. Victorian globe lighting, together with green canvas canopies and round ductwork painted green, were chosen to compliment the brick facade of the buildings and to create an ambiance of warmth throughout. The Galleria Red Bank was the recipient of the Monmouth County Planning Board's "Project of the Year Award" for the successful rehabilitation of the former Eisner site. 1912 National Park Service button. 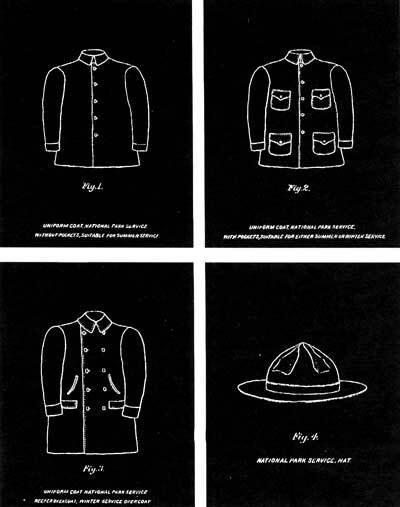 Designed by Sigmund Eisner using 1905 National Park Service badge as a model. 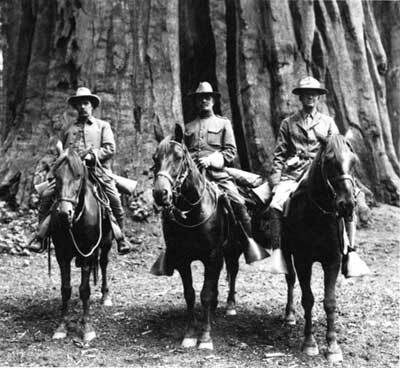 Grant Grove, Sequoia National Park, c. 1912.